Selling property can be a big challenge. There’s a lot to think about. But with resources like this detailed Smart Seller Guide at your fingertips there’s no reason to panic. We’ll give you the know how to put your property on the market confident that you know what the costs will be, how to find the right agent, what the relevant legalities are, and how to get the most out of your property to maximise the selling price. We’re here to help you sell better, smarter, and faster. Part Two: How Much Could It Cost? Generally, when purchasing property, you expect a few costs on top of the house price, such as strata reports, pest control, building inspections and conveyancing fees. But people often forget about the costs involved in selling a property. To get the best sale price it pays to know these in advance. Agent commission fees vary from state to state because of the different types of property in each state; they even vary within states according to the differing property markets in each metropolitan area. In NSW, for example, commission rates commonly range between 2-2.5% in metropolitan areas, and 2.5-3.5% in rural areas. This differs with Western Australia where fees typically range from 3-3.25% regardless of where in the state you are located. You can find out more about how agent commissions are determined in this article here. Fixed rate – In this instance the commission on the sale of a property is set as a fixed percentage of the total sale price, regardless of what that price is. Tiered rate – Here the rate of commission on the sale of a property is tiered at different percentages depending on how much the final price is. To find out more information on these commission structures, take a look at our article on real estate agent fees here. Since not all real estate agents include marketing and advertising costs in their commission structure, it’s prudent to prepare for these costs in your calculations when budgeting for the sale of your property. Selling your property in an auction requires paying an auctioneer’s fee. Because most real estate agents are not registered auctioneers this cost is most often considered as separate to your real estate agent’s fees. 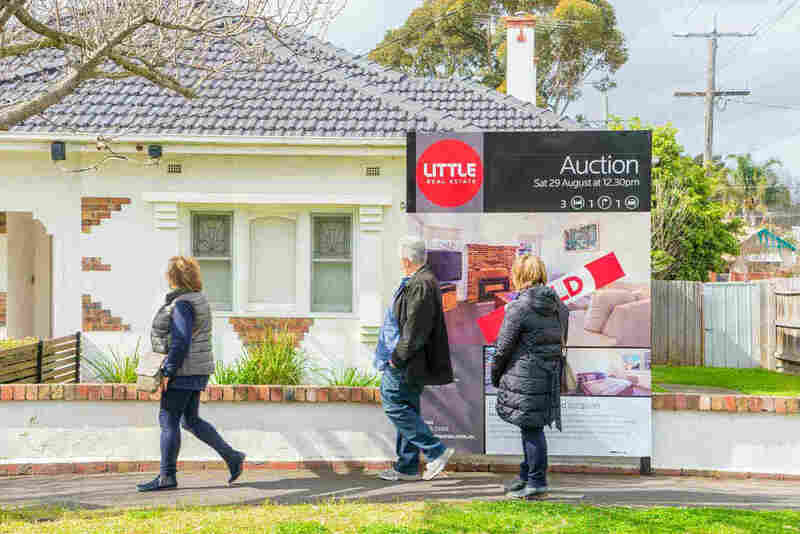 You can expect an auctioneers to cost, on average, around $400. One should put aside about $800 for these costs. If you still have a mortgage when you sell your house, you can expect to be charged a fee by your bank for the paperwork involved in discharging the mortgage (unless of course your bank does not charge a discharge fee). 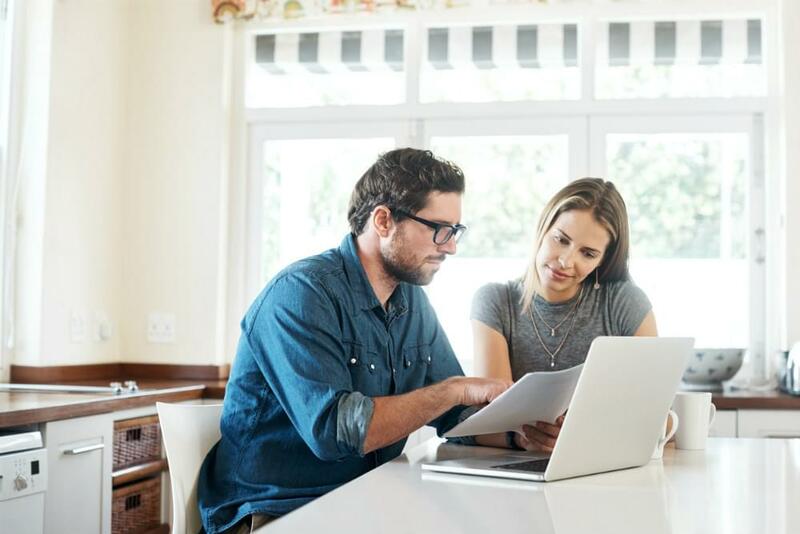 These fees vary between institutions and according to the terms of your home loan, but around $1,000 is a good rule of thumb. Even if you’re not planning on doing major renovations before you sell, you should put a little bit of your budget aside for small touch-ups to ensure your property is well-presented. For example doing things like painting trims, planting new flora in the garden, fixing cracks etc. will help get you the best possible sale price. Open Agent recommends that you budget around $1,000 for such work. Once you sell your home you, naturally you have to move out, so you should always include the cost of moving all your furniture and belongings in your budget. In summary, selling fees can differ a lot form property to property because of the variability of agent fees, lenders, legal advisors and home makeover needs. Location is not everything when it comes to selling property. The Australian property market is always fluctuating due to population growth, changes in the age structure, the supply of new house, infrastructure, economics and many further factors. For instance, a new rail line or an influx of young professionals may give your suburb an unexpected boom. In short it’s worth understanding the dynamics of your local market before choosing a time to sell or naming your price. It’s also worth remembering that where real estate often sells relatively quickly in the turbocharged Sydney and Melbourne metro markets, regional areas generally take a little longer. Is it a Cool Market or a Hot Market? Hot markets are seller’s markets, with fierce competition amongst and between buyers because there are more buyers than sellers. Such high demand typically drives up both the listing prices and the final sale prices of properties, and increases the turn over. In this situation there’s generally more focus on location, potential and the price of your property, as opposed to a list of features or maintenance requirements. If you find it necessary to sell in a cold market, it’s very important to make sure you set your price correctly, ensure that the property is as attractive as it can be, and develop a good marketing strategy. A cold market may sound like a disaster for some, but you have to remember that if you’re also in the market for a new property, you could well be moving up for a more reasonable price! What season are you planning to sell in? Spring is the craziest time of the year for sales, and going to market at this time will mean you have lots of competition from other sellers (we all know the familiar sight of buyers racing to squeeze in as many open houses as possible over the weekend...). Summer is also a great time to sell because there’s always lots of natural light and gardens are in bloom, but one must remember to factor in the late season drop-off as people head overseas or interstate (when real estate is least important). Autumn can also be busy, with people who sold their properties in Spring or Summer now looking to buy, or with families trying to upsize feeling the need to buy before school starts again. Winter, contrary to popular belief, is not necessarily a bad choice. Looking over auction clearance rates and price growth from 2015 it’s clear that this is simply a misconception. In Australia the property market is now active all year round. With many sellers deciding to remain out of the market, reduced competition could mean your home turns out to be the winning attraction. But at the end of the day, no matter what season you sell in or what the market conditions are, a quality agent with experience can always help you to really make the most of your property and maximise the final sale price. It’s a very good question and one you definitely have to get right – because the right price doesn’t just attract buyers, it attracts the right buyers. Lucky for you there are many sources of independent information that will help you get a good sense of an accurate and achievable price, all before you decide to make contact with an agent! Do your homework! - Many of Australia’s top banks offer free property reports and apps. You can also check out propertyvalue.com.au, realestate.com.au or onthehouse.com.au to get good suburb reports and discover which properties went to market and actually sold in your area. “Shop around” - Put yourself in the position of a buyer and get along to some open houses in your neighbourhood. This will give you an idea of how your place stacks up against other local properties. As an added bonus you’ll also get a feel for exactly how agents market properties and handle potential buyers in the heat of the moment. Location – The neighbourhood and even the street your property is on will be significant factors in the final sale price. Popular locations are those in friendly neighbourhoods, on leafy avenues, close to shops and trendy cafes, local amenities (especially public transport), parks, bike paths and good schools. Condition – The state of a property also has a major impact on demand. Is it modern or heritage, attractive and well maintained? Or is it in need of a little TLC? Is it packed with all the latest mod cons, have a huge backyard with room for growth? You should always make sure your home is in the best possible state it can be in, even if it’s best feature is just the potential to renovate. This is critical to increasing up the selling price. Similar sales – A good agent will also be able to base their appraisal on recent sales in your local area. They can analyse their own figures as well as those of the competition, and look for other properties that are similar in appeal, size, features, location and condition, and give you a realistic appraisal in what you might expect to get for your own property. Of course, in the end property valuation is not an exact science, but what is important is to avoid making an entirely emotional choice. We always think our homes are worth a lot, and will sell like hotcakes, but make sure to speak with a few agents before settling on a price range, because they will have sold scores of properties in your area, are constantly building registers of potential buyers, and can look at your home objectively in a way you might not be able to yourself. Out with the old, in with the new. But which one should come first? This one’s never an easy call to make, but Open Agent has done the research to give you everything you need to know when deciding to either put up the ‘for sale’ sign, or put your hand up at an auction. When you sell before you buy you can wait until you get a price you’re really happy with, without the pressure of needing to move quickly. You also get to shop around for a new place knowing exactly how much you have to spend. You’ll also have more time to get a feel for the market, and possibly more time to negotiate better deals with other buyers. With this option you’ll also avoid the various hassles and expenses of bridging finance – something that you will need if you buy before you sell and thus own two properties simultaneously. The key drawback to selling first is that if your old home sells faster than you planned, you could end up having nowhere to live whilst you search for a new home. You can take as long as you like when looking around for an ideal new home, rather than being pressured to take the first good offer just so you’ll have a roof over your head. On the down side you won’t know how much your old home will sell for, so you won’t be able to determine in your budget for a new home. If you buy first and it ends up taking a while to sell your old place, you might end up having to deal with bridging finance so you can fund both properties in the interim period. You may also feel some pressure to take a lower offer on the old place as the date of your new home settlement approaches. Lastly, you might not get as high a price as you had hoped for your old home, which means having to make up the difference with savings or perhaps even a larger loan. After you’ve spent some time looking at the market, make sure to take the time to try and look at your home through fresh eyes – think about what potential buyers will see. Obviously, buyers are going to pay more for a property that not only looks but feels clean, fresh and well maintained – basically ready to move straight into and enjoy from day one. So, how can you make your property as attractive as possible (without breaking the bank)? OpenAgent has compiled a neat list of 9 things you can do to that will make a real difference to the look and feel of your home, and that are likely to improve its selling potential. They don’t call it kerb appeal for nothing. Make sure potential buyers like the look of your home before they even set foot inside. For example, you could get a shiny new house number, clean the front verandah, and put out a nice looking bench or do some gardening such as plant fresh flowers or shrubs, tidy up and mulch the front garden. Another tip is to clean or paint the shutters, window frames and front door etc. Lastly, repair any steps, railings or pathways that look as if they are in need of attention, and brush away any dirt or old cobwebs. If you plan well and give yourself enough time, doing all this might only cost a few hundred dollars, plus a few weekends of work. But all that work could add thousands to the final selling price. Let’s be honest with ourselves, no one’s home is perfectly mess free. But you need to understand that buyers are awfully fickle creatures, likely to baulk at even the slightest untidiness in houses they’re looking at. They’re not going to like seeing dirty dishes or clothes, chewed up dog toys, your grandad’s wrestling trophies, a long stack of bills stuck to the fridge, or family photos from your last trip to see the in-laws. Be ruthless when clearing out the clutter: get rid of every last scrap of mess and all personal items on display throughout your home. You have to let buyers be able to see what they would do with the place. If any of the rooms look cluttered, consider taking out some furniture and/or decor and storing them out of the house during the time that you’re selling. Lastly, you should clear out and then organise all the cupboards and closets so as to make them look spacious (because yes, buyers are going to scrutinise over every nook and cranny!). The last thing you want is a buyer thinking there’s not enough storage space in a property because all the cupboards are crammed full. Creating an open, uncluttered living space is very important. It allows potential buyers to “move in” (in their imagination), clearing the path for a smoother sale. We don’t all have the time and money to cook up a brand new kitchen, but you can still add a lot of value by making minor repairs and concentrating on some of the more inexpensive cosmetic changes. This can transform the all important kitchen zone into a nice and inviting modern living space. The first order of duty is to scrub every last millimetre of the whole kitchen (yes, even the ceiling) so it sparkles brightly. Second, you might consider painting tired looking or old fashioned cabinets white or some other light and neutral colour; a step further would be to update the knobs and handles on all the cupboards and draws. Third, the kitchen sink: replace old grimy taps with a simple and inexpensive new ones; paint or replace splashbacks and think about re-grouting dirty old tiles. Last but not least, clear everything off the kitchen bench and dress it up with a handful of smart, tasteful items, such as a bright bowl of fresh fruit, a pretty bunch of flowers or some shiny new appliances. Realistically, many prospective buyers will be forgiving of an old bathroom but absolutely no one forgives a filthy one. So roll up your sleeves, get down on your knees, and scrub every surface like your life depends on it. A grouting pen is a great investment, as it will whiten up that old tile grout like nothing else. You definitely need to fix any leaking taps and, just like in the kitchen, if your budget can stretch you should consider buying a new set of taps. Again, paint the walls white or some other neutral shade, and (if you can afford to take it a step further) consider replacing old cupboard handles and even towel rails. For the cherry on top you should put out some nice new fluffy towels and maybe a few fancy touches like a scented candle or luxury soap. A word of warning though: don’t go overboard with the air freshener – if your bathroom is perfectly clean what could you possibly have to hide?! After prospective buyers come through your home you want them talking about how great the spaces and finishing touches were, not your neon pink feature wall. 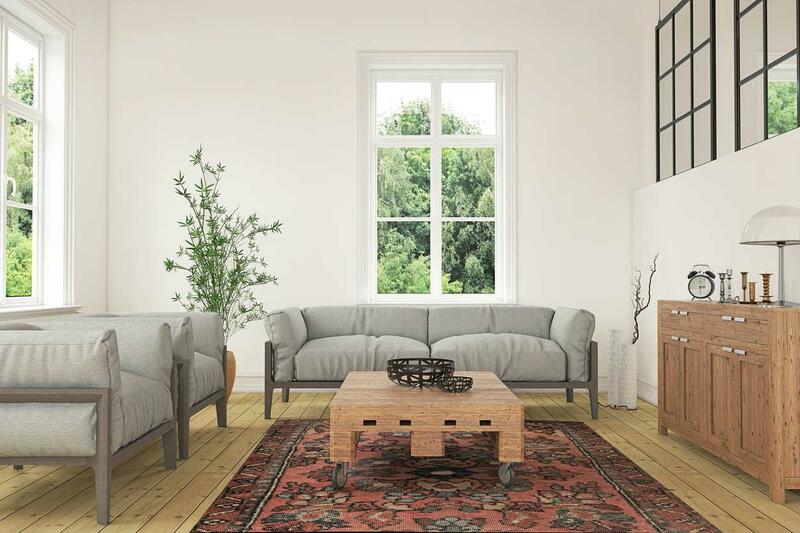 If you do have an “out there” taste in décor, some odd kitsch collections or even just some unusual furniture, you might want to consider swapping them out for something more neutral. The idea is to let the house come across as a blank canvas to which new owners could add their own personal touches, like you have. The other thing is to try to make your house appeal to as many buyers as possible. Sometimes it helps to think of your house as something like a display home for the time that it’s on the market. Natural light always makes a house look great, so let it in wherever you can to make your home feel light and spacious to potential buyers. Be sure to open all your curtains and blinds (it’s also a great idea to clean them first), wash all your windows, prune any plants or trees that might block light out, and think about replacing heavy or dark drapes with some lighter ones, which are usually inexpensive. Another hot tip is to use mirrors to reflect natural light into the darker areas of your house. One last tip is to switch on some floor and spot lamps to make all the rooms brighter and feel more welcoming. But be warned: don’t just go and turn on every last light in your house. When you do turn lights on, choose ones with at least 100 watts, since lighting that’s too dim might actually have the opposite effect. If you’ve heard it once you’ve heard it a million times, but paint will always be one of cheapest and simplest ways to quickly transform a house. The added bonus is that if you’re even just a bit handy, you can do this all by yourself. If any part of the house, inside or out, is looking worse for wear or even just a little drab, get yourself a brush and get into it. Or you could call in some professional help. Either way it’s probably worth it as a fresh lick of paint can add literally thousands to the final sale price for a relatively small investment of time and funds. Even if you’ve come to find them homely, odours around the house such as those from smoke, cooking or pets might leave potential buyers with wrinkled up noses during an open house. To avoid the embarrassment be sure to clean all soft furnishings that might hold odours, and air out your house thoroughly before inspections. While it might be obvious to some, do not forget to clean up after your pets, and take them away with you during inspections. For the finishing touches you could also put some fresh flowers around the place and even a fresh pot of coffee, which will help to make your home smell clean and welcoming. For most Australians outdoor spaces are not just something outside the house, they’re like another room of the house – so don’t forget to tend to your garden if you’d like to see your selling price to grow! On the list of must do’s is to fix all the fencing, use a high pressure hose to clean paths and pavers, and toss out any rusty old junk lying around the house. For an added touch you could scrub and oil wooden decking and any lacklustre outdoor furniture. Last but not least, add some new plants, prune the old ones, do the weeding and throw some new mulch or good soil on the garden beds and pot plants. It certainly won’t cost you the earth to get your garden looking dapper, but it might be the difference between watching your house sell fast or wither on the vine. Selling real estate is likely to involve some of the biggest financial decisions you’ll ever have to make. So while you can do it yourself if you’re feeling confident, getting some professional help is a usually a wise move. Selling anything worth that much is guaranteed to take up a lot of time and resources, and there’s no guarantee you’ll get a better result for yourself at the end of the day if you brave it alone. You may only ever sell a property once in your lifetime, but a real estate agent buys and sells every day. So when teaming up with a great real estate agent you get to tap into their industry experience and market knowledge, plus you can leave all the difficult and annoying work to them – running open house inspections, liaising and negotiating with potential buyers and taking care of the mountains of paperwork on your behalf. An added bonus some people forget is that you’ll have legal protection if you go through an agent. Give you a more realistic appraisal than you might be able to conjure up yourself (one based on real market experience). Give you sound advice on the pros and cons of different ways of selling (e.g. through expressions of interest, private treaty or auction) that will depend on your individual situation. Develop and implement a good marketing campaign for your home. Be able to tap into their active database to get more potential buyers to consider your property. Organise and run all the open inspections and answer all enquiries about your property. Do some tough negotiations on your behalf to help ensure you get the best possible price for your home. Prepare you a ‘Contract of Sale’. Act as a guide through the often tricky to understand legal processes of selling property. Braving it by yourself means you might also unnecessarily limit your advertising reach. 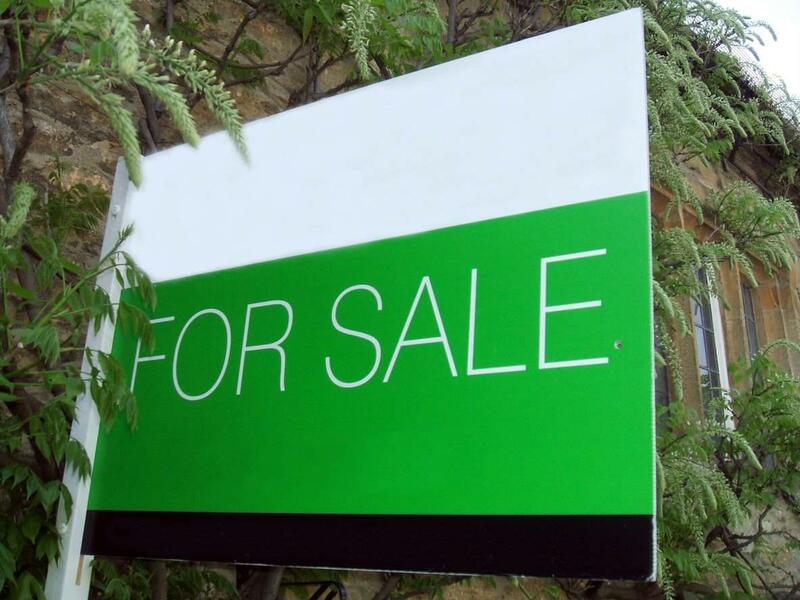 The major selling sites (like realestate.com.au) will only accept listings from professional real estate agents, and the smaller, private sale listing websites don’t get nearly as much exposure. Overall it’s very important to weigh these factors up carefully before you decide to ‘cut out the middle man’ and save on commission fees; sellers often come out on top even after paying an agent commission because the property sells for more overall through an agent. Of all the decisions you need to make when selling a house, picking the best agent is the one that makes the biggest difference. If you want to sell your home faster and smarter (and with way less stress! ), take a close look at Open Agent’s checklist of key factors to bear in mind when making a shortlist of good real estate agents. The right agent must have experience selling properties that are similar to yours and in a similar price range. Lots of positive feedback and great reviews from past clients. Decent knowledge of how to sell in your local market, like price ranges, appropriate marketing strategies, clearance rates and average sell times. A large database of potential buyers that might be interested in your house. An open, honest and a good communicator who can build strong personal rapport with both you and potential buyers. A professional license for the state in which you’re selling a property. 1. How many years experience do you have as an active real estate agent? Typically, hiring a good real estate agent means hiring one who’s been through it all and really knows how to read every kind of buyer and situation. This kind of experienced real estate agent can bring their years of market knowledge and negotiating skills to the table. On the other hand (because we’ve all got to start somewhere!) you may find a younger or newer agent who is hungrier than the rest and brimming with positive energy, who will work longer and harder for you to get the best possible outcomes. The key is to keep an open mind and pay attention to the details. 2. What properties have you sold in the last 6 months that are similar to mine? Open Agent offers free tools for researching potential agents, with which you can very easily check the sales record of agents in your area. This is one of the first steps you should take in drawing up your shortlist, but when you’re onto the interviewing stage it’s always a good idea to chat about some of the properties similar to yours that each agent has recently sold. You’ll get some quick insights into what they’ve learned about local buyers, and if you’re really lucky they may even have some potential buyers in their database looking for a property just like yours! 3. What is the current market sentiment for properties similar to mine? A decent agent will be able to give you a clear summary of the number of people currently turning up to open houses, interest rates this year compared to last year, current clearance rates at auctions, and an idea of the average time properties are on the market at the moment. 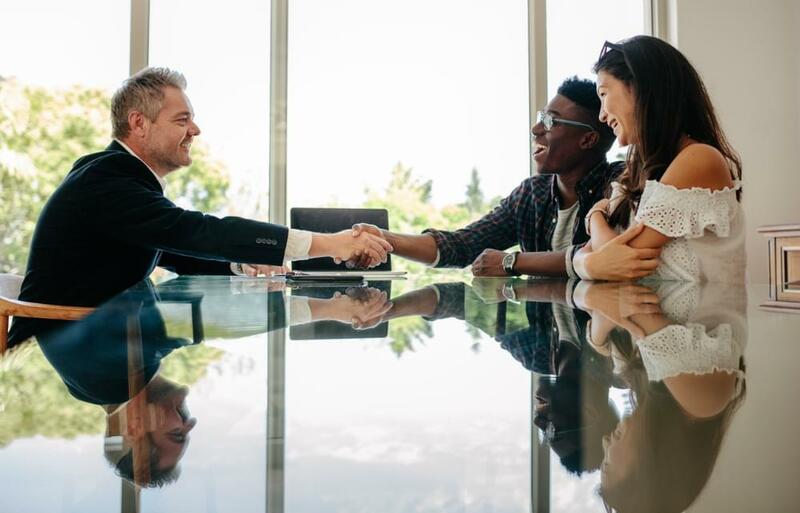 Aside from giving you a feel for your local market and a means of comparing different agents, asking this kind of question also demonstrates that you’re a savvy buyer, which may become an extra card up your sleeve when the time comes to negotiate fees. 4. What separates you from other agents in my area? What do other vendors say are your strong points? Obviously there is no single winning answer to this question, as each agent and buyer is unique. The main reason for asking this is to try to help you figure out which agent qualities are most important to you. Depending on what answer you get, get a sense of what resonates with you: are you looking for an agent that “goes the extra mile” or someone who says communication is their best attribute? 5. What do you think are the key selling points of my house? In other words, what’s the 30 second pitch you’re going to give to potential buyers about my property? Your agent is going to meet a lot of people and each one of them is an opportunity to sell your property, so you should try to gauge how they would highlight the important selling points of your home and measure it against other agents. If you’re sold on their pitch, chances are that buyers will be too. 6. What sales method would you recommend? And Why? There’s more than one way to sell a property. You will know an agent is good if they can explain whether to go with a fixed price or an auction, private tender or offers by negotiation. Don’t forget to ask why they would recommend their choice, and check that it’s based on real facts like what’s currently working for your kind of property in your area. Lastly make sure it fits with your own personal objectives. 7. What is your proposed marketing and advertising plan? In Australia real estate agents usually come to interviews with a proposal for marketing and advertising your property. In most cases this will incur an upfront payment, so it’s important to check how your money is being used. By comparing these plans and their relative costs across each of your shortlisted agents you should be able to get a good sense of which ones will attract the right buyers, and who will be the best value. 8. Based on the sales method and marketing plan you propose, what do you think is an achievable final price? This is probably the biggest question you’ve been waiting on an answer for! Given the weight of the answer, Open Agent recommends waiting until the end of the interview to ask it, so you don’t let it cloud your judgment of the other factors determining an agent’s expertise, and to show them you know what you’re talking about. A word of warning on this note: ‘dodgy’ agents will quote you an unachievable sky-high sale price in an attempt to win the listing. To avoid being duped, make sure you ask them to detail exactly how they got to the figure they did. 9. Based on your valuation, how long do you expect my property to be on the market? This question is a means by which to gauge both an agent’s confidence and the speed at which they usually get results. Because in most situations the best time to sell is within a few weeks of going to market (when it’s still fresh to potential buyers), you don’t want your home stagnating on the market a few months down the track or the ever-fickle buyers will start to wonder why, and might assume something is wrong with your property. 10. What commission do you charge? The final important question is about what commission agents charge. A good agent will be able to confidently justify the price of their services. Something very important to remember is that you’ll be better off with the best real estate agent than with the cheapest. Comparing cheap and expensive agents, the difference in final selling prices far outweighs the differences in agent commissions. Hence it’s usually well worth the money to go with an agent who will work hard for you and has a proven sales record of delivering on promises for vendors. Choosing the best real estate agent for you and your property is the key to selling successfully and getting the best possible price, so it’s the biggest decision you have to make in the whole process. This is why Open Agent offers you a free online service: to help vendors find the best possible agents in their area. We have a dedicated research team that will do all the tricky homework on your behalf, help you make a shortlist of agents that are a good match with you and your property, and offer continued support throughout the entire process. Almost all agents will offer a free market appraisal of your property, and it’s a critical part of the package with which they hope to win your listing. But that’s just it: they want your business – so how can you trust their opinion of your property? Of course you need to be aware that there are some untrustworthy agents who will quote inflated prices in an attempt to win your listing; but if an appraisal seems unrealistic or doesn’t match up with what other agents are saying (remember you should always speak to more than one agent), all you have to do is ask how they arrived at their figures. You’ll be able to spot the decent agents because they won’t just pull a figure out of thin air. They should give you a price range, not an exact amount, based on their professional market knowledge, an understanding of current conditions like recent sales in and around your local area, and the unique selling points of your particular property. If, after all this, an agent’s appraisal still seems high you can always protect yourself from the over-quoting trap by asking the agent to sign a quotation guarantee. This involves getting a signed copy of the quotation with a written agreement stating that the agent won’t receive payment unless a minimum sale price is reached. Are cheaper agents really cheaper? You’re selling your home; obviously you want to get the highest possible return overall form the sale. A classic mistake when thinking this through is to assume that lower commission equals higher return. When focusing only on commission you miss the crucial consideration of how much you actually end up with in your pocket at the end of the day. Because agents differ in quality and style, choosing one on the sole basis their commission can very easily leave you feeling short-changed. Consider a situation in which your house has just been valued at $500,000. After doing some basic research yourself you find out that agents in your area typically charge a 2% commission on sales. If your home sells for $500,000 and you pay the average fee of 2%, you’d be forking out $10,000 for the agents and taking home $490,000 of your own. They might only be newly qualified, and eager to get as much experience selling homes in your area as possible. They might be desperate for listings. Lastly, they might be relatively similar to all the other agents, but offering a lower price because they will spend less time on you and your property. Such an agent, cheaper for whatever reason, might then end up selling your property for only $495,000 – not a significant amount less than the average priced agents. The 1.5% commission on that $495,000 is only $7,425 (much cheaper than $10,000). But you’re only left with $487,575 at the end of the deal – that’s $2,425 less! Plus you have the added headache of working with an inexperienced or unmotivated agent. From this basic exercise you can see that you’d be better off going with the more expensive agent. In most cases a higher commission is justified by a proven track record and good customer feedback, which are indicative of greater overall return at the end of the day. The average commission that real estate agents charge varies between states and between metro vs. regional areas – the lowest is about 1.6% and the highest about 4%. Across the country the average charge is around 2% to 2.5% of the sale price of your home, or from $10,000 to $12,500 when selling a $500,000 house. Marketing costs usually come on top of this, and can also vary a lot – from around $500 into the thousands – depending on how far you want to reach and how diverse you need the advertising to be (see Part Two of our Smart Seller’s Guide). But agents don’t all structure their fees in the same way: some include the cost of advertising in the commission and quote a higher rate; others will use a ‘sliding scale’ commission, e.g. 2% on the first $860,000, and 5% on anything above that, which acts as an incentive to work harder for a higher sale price (a practice quite common on more expensive properties). What’s important to remember from all this is that commission structures are flexible. In fact it is common to negotiate. Here are OpenAgent’s tips on negotiating a commission that will give you the best of both worlds: value for money and a great price for your home. After you’ve whittled down to a shortlist of agents, ask them each what their commission is. And don’t be shy – let them know you’ll be comparing them against one another. This way you might be able to get an agent you like more to “price match” against a competitor. If you want a record price for your house, don’t expect an agent to drop their fee. Record prices require much more work, and you’ll obviously have to pay a premium on it. Consider asking for a sliding scale rate structure (like the one illustrated above). The idea is to incentivise the agent to secure you a better selling price. Don’t just settle for the agent with the cheapest commission. As already discussed, more often than not you get what you pay for. To make sure you’re comparing apples with apples, include the advertising fees in your cost estimates, since they may or may not be included in an agent’s quoted commission. Don’t forget that if your house is worth more than average, you can probably negotiate with the agent on a lower commission rate. When it comes to negotiations don’t be shy – haggle on all the fees and costs. Of course the agents won’t tell you this, but everything is negotiable. Lastly, make sure you get all fees and costs in writing from the word go. That way you won’t be left high and dry when it comes to selling time. When you contact those agents that have made it onto your shortlist they will no doubt come back to you with a marketing proposal, most likely already written out and with a cost estimation. But with so many marketing channels to advertise, it can be hard to judge which will be more efficient. You should ask whether an agent will use a multi-media approach, since this is the best way to cast your net wide when targeting buyers. Second, ask what mix they recommend, keeping in mind that it could include any or all of the following: real estate websites, video tours uploaded onto the net, magazines, social media such as Facebook, classic front-garden signage, letter box flyers, newspaper advertisements, or old-school real estate agency display windows. If they haven’t told you already, make sure to ask what costs will be involved in the plan. Moreover, are there any upfront costs, or are these covered in the agent fees? An important detail to remember to raise with an agent is that advertising your property is also a chance for the agent to advertise their business, so it is not unreasonable to suggest that some costs be shared. Get them to outline the details of the plan, such as which channels, frequency of these channel and the typical benefits and expected results of each. Ask them for historical proof. Make sure that the agent is using a professional photography to market your property – this is critically important for all channels. Getting the answers to questions like these will help you work out whether an agent is giving you good bang for your buck. At the end of the day, you should be going with an agent whose marketing plan won’t just deliver hoards of people to your door, but will attract the right kinds of buyers – those most likely to make solid offers on your property. What sales method best suits your property? In Australia there’s definitely more than just one way to sell a property. The most common ways are Expression of Interest, Auction and Private Sale. Any good agent will definitely know which method is best for your house, and their suggestion will depend on a combination of things, including the current local market, your type of property and what’s important to you in the selling process (e.g. some methods are fast, others can be stressful). So that you’re prepared to talk shop with agents, here’s our guide to the ins and outs of each method. Auctions are public sales where a property is offered for sale in a competitive bidding process. It’s typically chosen in high demand markets as strong competition can drive up the final sale price. All bidders must be registered before the auction, and you can also set what’s called a ‘reserve price’ beforehand which will remain confidential between you, the auctioneer and your agent so potential buyers don’t underbid. During the actual auction, once the reserve price has been matched or exceeded by a bidder, the auctioneer declares that the house is now “on the market.” The highest bidder, who wins the auction, is then legally obliged both to buy your property, and to put down a deposit of 10% of the final bid right then and there. Two additional facts: you’re allowed to accept offers before the auction has commenced (if they’re good enough of course! ); and if the property doesn’t reach the pre-set reserve on auction day then you can ask your agent to negotiate deals with some of the higher bidders afterwards. Because auctions are both public and competitive, they can help to get the highest possible prices out of bidders. The campaign in the lead up to an auction is well structured (typically around 4 weeks long), which allows you to plan, knowing you have a set sale date which is the auction day. You don’t need to worry about buyers withdrawing or delaying as winning bids are legally binding. If you or your agent had difficulty appraising the value of your property due to, for example, unique or unusual features, then an auction can be the ideal means of determining its true value in current market conditions. This is the most traditional way of selling a property. Here you simply set an asking price according to the advice of your chosen agent, and sell your home via what’s called a ‘private treaty’. A good agent can negotiate with interested buyers to try to get them to pay a price higher than the asking price. Once a price has been agreed upon between you and a buyer, you need to set it out formally in a written contract. This method is a little less intimidating for most people, and more flexible as well. However, without the pressing urgency of an Auction Date or closing date of Expressions of Interest, it might also take a little longer overall. In theory a fixed price should attract the “right” buyers, i.e. those who know exactly how much they have to spend and are looking for homes in a similar price bracket to yours. Unlike the binding conditions of an auction, you’re not under any pressure to decide on an offer instantly – you can mull over it (but don’t take too long or you’ll lose the buyer!). As already mentioned, many sellers find this method less intimidating, but buyers are in the same position which may mean that you attract a higher number of offers. Finally, as the property owner you get to dictate the terms of the settlement, and are also free to negotiate them as you wish. Also known as a “Set Date Sale” this method works by asking interested buyers to submit a ‘tender’ for your property. First, working with your agent, you set a price range (which can choose to advertise or not). Next the agent shows your home to potential buyers over a period of a couple of weeks (say 4 to 6) and invites any interested buyers to submit their best offer in writing by a certain date. These offers are in sealed away from prying eyes and only shown to the seller, after the closing date. You ( the seller) then get the flexibility to choose whether you would like to accept the highest offer, try to negotiate further or, if none of the offers met your expectations, put the property back on the market. Just like with an auction, the set amount of time on a campaign means you can plan your life around a final sale date and also put a cap on marketing costs. If you don’t advertise your price range this method can work well as a means of driving up the sale price: because buyers only get one chance, they’re incentivised to either put their best bid forward or risk missing out. This process also offers you a little more privacy and control than an auction might, because all the bids are sealed to everyone, especially competing bidders and the public. There’s also no pressure to make a decision right away. This works best for premium properties but is also popular in slower property markets where auctions typically deliver lower clearance rates. What are the different types of listing agreement? ‘Open listing’ or ‘general authority’: this option means you list with more than just a single agent, paying the commission to whichever one actually finds a buyer and sells your property. Obviously this method will get you more exposure as you’ll have more agents hustling for you, but you’re likely to find that those agents aren’t very motivated, which could affect the final selling price more than it’s worth. Many ‘full service’ agents don’t like signing this type of agreement because they can’t be guaranteed a commission for their work. ‘Exclusive right to sell’: the most common type of agreement. Here you sign up with a single agent, giving them exclusive rights to find a buyer for and sell your property. Exclusive rights mean they’re guaranteed to be paid a commission when your home is sold. This guarantee holds even if they end up selling it through a different agent, or if you end up finding a buyer yourself. ‘Exclusive/sole agency’: this is similar to above, only you won’t have to pay an agent their commission if you’re the one who finds a buyer and sells the property yourself. One last thing: typically when you’re choosing between listing agreements you get to choose the length of time the agreement is valid for, which in most cases is 30 days, 90 days, 6 months, or 1 year. If you’re not confident you have a good idea of how the selling process will go, we recommend choosing a 90 day agreement which gives you some flexibility but also allows the agent a reasonable time frame in which to work. It’s very important to always read the fine print, discuss anything you’re unsure about and ask all the questions you need to. Finally, don’t get pressured into signing anything after only one meeting. Give yourself time to think things over and weigh up the pro’s and con’s of each marketing method, sale method and listing agreement. You’ve given your home a facelift. You’ve finally signed a great agent. Your agent and you have outlined a marketing plan. Now here’s Open Agent’s hot tips on how to make the various marketing tools work together to make your house stand out from the rest to potential buyers. Happy snaps with your smart phone just won’t cut it when it comes to selling your most important financial asset; professional photography is an absolute must for both traditional and online media. When the photographer comes make sure your house is looking fresh and clean: the garden should be well manicured; all your usual mess needs to be hidden away; and it’s always a good idea to put out some fresh flowers in vases around the house. Also try to schedule the photography on a bright sunny day, and at a time during the day when the natural light in your house is at its very best. To let people know your property is on the market your agent will arrange for a professional sign to be put up. Depending on its size (sometimes you can choose), it might show buyers some interior photos to give an idea of the basic features such as the number of bedrooms and bathrooms, and other important details such as inspection dates and contact details for your agent. Pick a spot out the front where your sign will get maximum visibility, won’t block natural light from getting in your windows, and won’t be obstructed by other street signage, bins, cars or trees. Some of the contemporary signs can be illuminated at night, in which case you should pick a spot where you can run a power lead to. These days, before buyers ever get close to your home, they’ll see it on either their phone, tablet or computer. Nearly all buyers will start their search on real estate websites geared towards buyers such as realestate.com.au or domain.com.au, and your agent will no doubt make the most of these crucial tools to drive potential buyers to your doorstep. These sites cater for video tours, curate a range of photos, put up floorplans and other features, and best of all help you keep track of exactly how many people have viewed your home on the internet. These are very powerful marketing tools that you simply cannot afford to do without. Your agent will probably also have their own website where they can show off your home in greater detail, with links back to the major sites. Last but not least, social media is rapidly becoming a very popular means of marketing properties more informally in a way that can and ‘get the word out’ to masses of people very quickly for no extra cost! You should ask your agent to help you take advantage of such channels as Instagram, Facebook and Twitter. Even though the vast majority of buyers these days are busy shortlisting properties online through the sites mentioned above, some people still like the look of a glossy agency magazine or local newspaper, and the feel of browsing properties over a pot of hot coffee on the couch. Considering that you don’t want to miss out on any market segment of potential buyers, you should take a close look at the age and lifestyle of the likely buyers in your local area to consider whether traditional print media is worth throwing in the mix. Printed flyers are another cost effective way to capture the attention of local renters who might be thinking of buying, or homeowners looking to upgrade. Ask your agent whether they think it’s worth a shot. 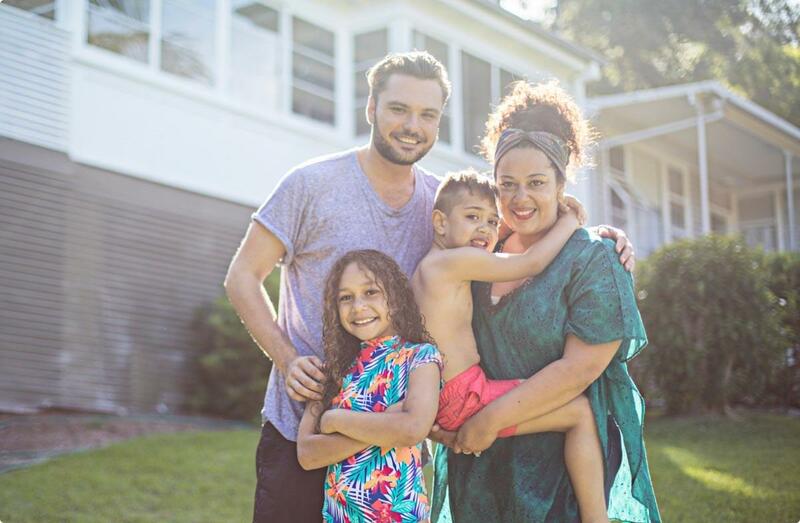 It’s guaranteed that some potential buyers still stop on the footpath to check real estate agency windows if they’re ever in the neighbourhood. With the newer, digital displays in that many agencies have invested in, potential buyers can get a very sophisticated preview of your property on the spot with touch screen technology or even mini video tours. They’re quite literally “windows of opportunity”! Your agent will usually include this in every marketing package, because it’s a win for them as well. Once all the tricky work of finding an agent and working out a marketing plan have been sorted, you can focus on making your home feel warm and beautiful for open house inspections. For obvious reasons open inspections can be a bit annoying (e.g. having to clean the house form head to toe every Saturday morning! ), but they are absolutely essential: nobody is going to offer up hundreds of thousands of dollars unless they get a chance to go through your home. To help you reduce the stress and make the whole thing run smoothly, Open Agent has put together a list of some important things you can do. When inspection day finally rolls around make sure you’ve already done everything in section 5 of this guide, “Preparing your property for sale”. Then give your property one last big clean and a strict de-clutter, removing all the day to day mess like shoes by the front door, piles of old mail, old pet bowls, etc. Don’t forget all those niggly details either: cleaning inside the oven and tidying cupboards and closets can do a lot for a home. This one’s essential. Put yourself in the shoes of a potential buyer, and do a walk through as a final inspection. On your way through get rid of anything that makes it feel cluttered, but be careful not to leave it empty and unwelcoming. Will your buyers be impressed by what they see? Are your home’s best features getting the limelight they deserve? If you know you’ll find it hard to be totally objective, try asking a trusted friend (one with good taste!) to do the walk through with you, help you spot any last minute quick fixes you might have missed yourself. Our experience shows that some buyers get turned off by houses that are either too hot or too cold. It’s important to first air your house out and then try to get the internal temperature just right, depending on the time of day and the season of course. If it’s hot outside, make potential buyers feel fresh and cool when they walk in (not cold); if it’s cool out, make your home feel warm and toasty (not sweaty). As tempted as you will be, don’t hang around to see how your open house inspections go. Since people will want to scrutinise your property, and you need to let them, it’s best to just go and leave them to it. By doing this you’re letting them tour the house at their leisure, talk honestly with their partners and be open with your agent about what they really think of the place. It’s also a given that you need to take your pets out too. They can leave odours that some find offputting or are even allergic to. People have busy lives – with meetings that always seem to run late, kids to pick up from all over, and, if you’re a buyer, scores of properties to view each weekend – so the seller (you) need to be a little flexible with open times. That way potential buyers get to squeeze a viewing of your home into their busy schedule. 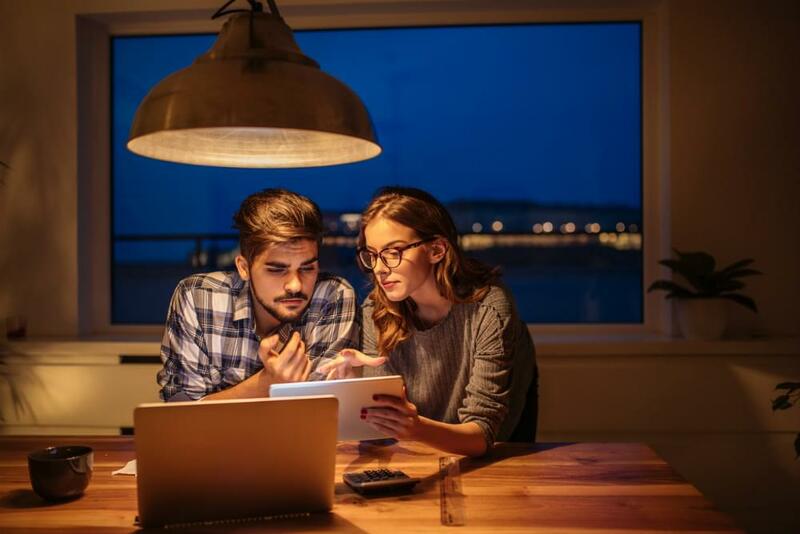 Most agents usually schedule both a weeknight and a weekend viewing, but keep in mind that unexpected inspections can also pop up. That means you need to make sure you keep your property relatively tidy throughout the whole inspection period, so you can do a quick once over if an interested buyer wants to pop in. You also need to be prepared to duck out for an hour on short notice. We have no doubt that after every inspection you’ll be chomping at the bit to hear what the buyers said about your property. Whether it’s a phone call, a face-to-face or a detailed email, it’s very important to really listen to your agent’s feedback – even if it’s not everything you wanted to hear. If there are some negative responses in the mix don’t get defensive or disheartened as that won’t help anyone. What will help is talking it through with your agent and planning what you can do to address any of the points raised. This could mean adjusting your price range, mixing up your marketing tactics, or maybe just a handful of easy cosmetic alterations. Listening and acting on these will improve your chances of selling. Once you’ve chosen a top quality agent you’ll be getting down to the nitty gritty details of negotiating. This is where a good agent really shines. They can leverage their detailed knowledge of current market conditions, recent sales in your local area, and the unique quirks of your home to drive up the selling price and get you the best possible result. Given that it’s highly likely you have never sold a house before, or if you have that you only do this once a decade or so, it’s always comforting to know you’ve got a negotiating expert in your corner. Here’s some of the basic things you should know about the different negotiating arenas. If you’ve decided to go to auction your agent is likely to receive some pre-auction offers, which they will pass on to you. But, as any decent agent would advise, an early offer needs to be genuinely outstanding to convince you to accept before auction day. If you have even the slightest inkling that you might get a better offer at auction (and you should consult your agent), you might as well at least see what market competition does for the final price at auction. If it’s not your lucky day and your home doesn’t reach your reserve price then you can get your agent to start negotiations with some of the top bidders, or any interested buyers, in just the same way as a private sale might unfold. If, on the other hand, you’re selling your house privately, your agent will bring all the buyers’ offers to you. Here are Open Agent’s top negotiation strategies and tips to help you achieve the price you want. If an offer has made its way to you, at the very least your agent has received a verbal offer. But, as the saying goes, it’s not worth the paper it’s written on. If a buyer is serious you’ll be able to ask them to legitimate their offer by putting it in writing, and signing an agreement with a deposit. This is the easiest way to separate the wheat from the chaff. If it’s not what you were hoping for, it can be very tempting to dismiss early offers. What you’re missing out on here is that these early offers represent what are likely to be some of the most interested buyers. Typically the best offers do in fact come early when your property is freshest to potential buyers, so make sure you consider these first offers seriously with your agent and negotiate carefully, because if you dismiss it and don’t get a price as high again you’ll regret it. The final sale price isn’t the only thing that’s negotiable. Sometimes a buyer might be looking for a 5% deposit, need a little bit longer on settlement dates or even your antique dining table thrown in with the deal! All of these things should be considered as leverage that can help you get toward the price range you want. It sounds obvious because it’s the oldest negotiating strategy of them all, but this one often works. You should always be prepared to compromise on the final price and/or the selling terms, and meeting a buyer somewhere in the middle of both your demands might actually end up being a win for the both of you. It’s very easy to get caught up in heated emotions at this time and refuse to budge on your price range, but by giving a little from your side of the bargain you might just encourage a buyer to give a little back and get closer to move closer to your dream price than other buyers might. If you’re unlucky enough to have a sale fall through, and the buyer walks away form the sale, it can also be hard to let go of the price they were offering. But put yourself in their shoes: perhaps they couldn’t sell their own home, or get the loan they needed, or they just saw another property they liked more? If it wasn’t meant to be it wasn’t meant to be. Let it go and begin discussing more options with your agent. Below is a quick overview of the legal process to help you understand. Your real estate agent or other legal advisor can prepare what’s called your Contract of Sale. This is a document that sets out all the terms and conditions of the sale that need to be agreed upon between a buyer and a seller. It includes things like the final price, a settlement date, the amount of the deposit, and whether certain fixtures are included or not. 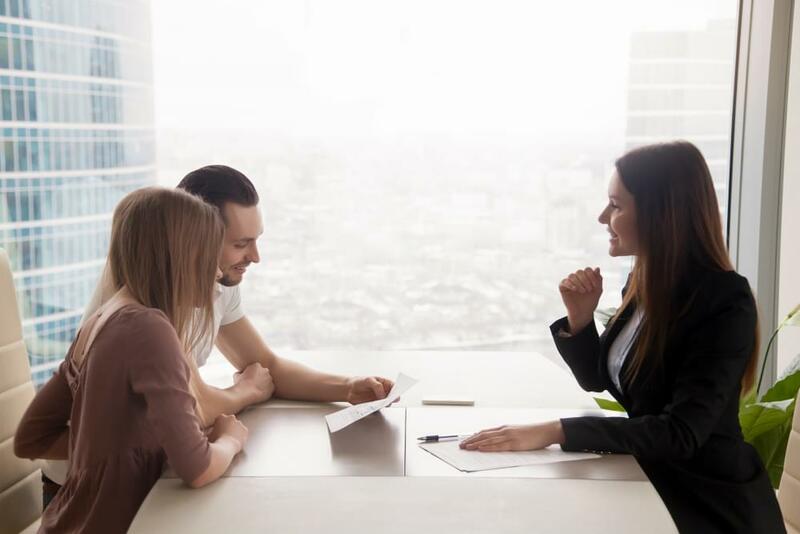 On top of this your legal advisor will prepare what’s called the Vendor’s Statement, which lists certain things about the property that buyers should know before signing the contract, such as current mortgages, easements, local zoning, etc. Two copies of the Contract of Sale need to be made, one for your buyer and another one for you. Each party signs one copy and then they are exchanged. After this the buyer pays the deposit (usually held by your agent in a trust until the day your actually settle). Once these contracts are exchanged, sellers are also legally bound to the sale, while buyers are often entitled to a cooling off period that varies from state to state. 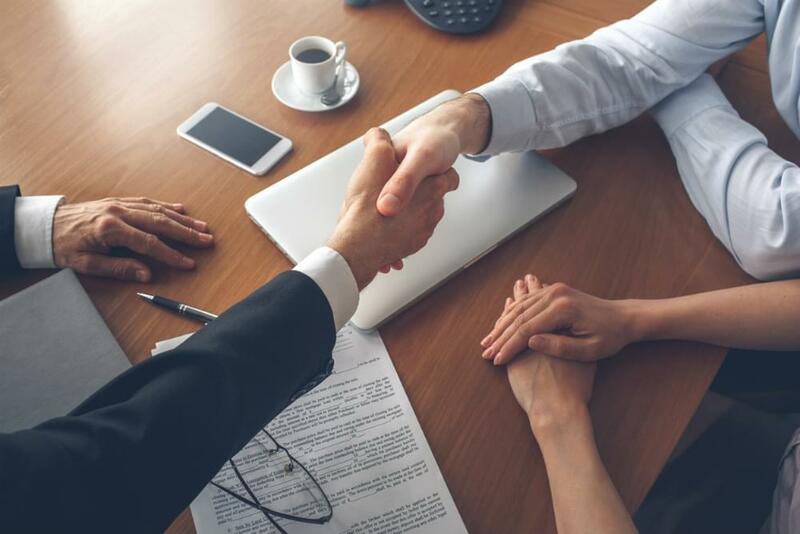 Before the actual settlement date, legal advisers and representatives of the banks of both buyers and sellers will liaise to ensure all the conditions of the contract (e.g. renovations) have been met and that all the correct financial documents and cheques for the purchase price have been properly prepared. It goes without saying that you’ll have to start getting ready to finally hand over the keys and move out on or before the settlement date. Assuming everything goes according to plan you need to hand the keys over to your legal adviser, at which point you will receive payment from the buyer matching the purchase price minus any outstanding mortgage you have. 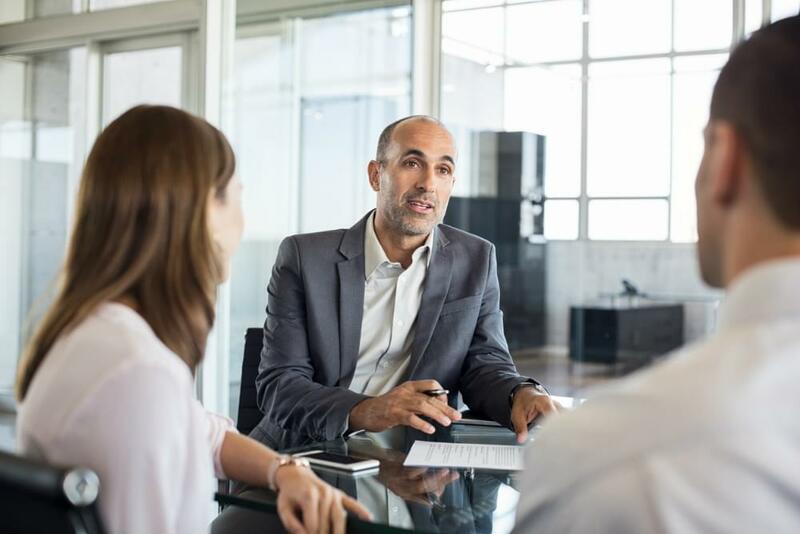 In most cases you won’t need to be there for the final settlement meeting, which is usually taken care of by your legal representative at your bank. This is about the right time to pop a bottle of bubbles and celebrate the sale of your home! 5. Should you use a solicitor or a conveyancer? In most cases it’s not actually necessary to use a solicitor in selling your property. If the sale is reasonably straightforward, you can use a conveyancer (an officially licensed specialist who deals in property law). In Australia it is fairly common to use a conveyancer over a solicitor because they’re normally cheaper and just as capable of dealing with typical property transactions. One situation in which you may want to hire a conveyancing solicitor is if the property deal you’re putting together is particularly large or complex. That way you have someone on your side to help you navigate the hairy legal matters too. OpenAgent can help you find the best agent to sell your home.